Your customers should love you. I'm not kidding. With Agile development, your customers should love you. You produce software on a regular cadence. You change direction to meet business needs. You have few defects and you care about delivering value. Why wouldn't they love you? But for some reason, our customers don't always love us. 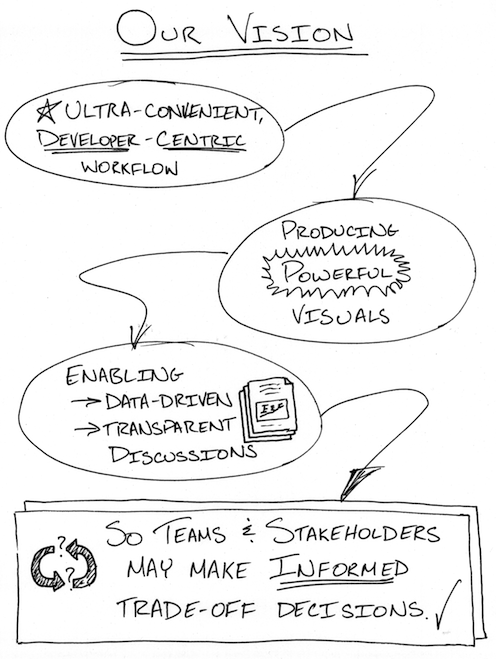 Actually, difficulties between Agile teams and their customers are so common, I call it "Agile's achilles heel." We rely on a solid partnership with our customers and other stakeholders, and when we don't have it, agility suffers. So I'm going to do something about it. In partnership with Diana Larsen, I've started a new venture, called Rabu (pronounced Ruh-boo), focused on creating exemplary relationships between software teams and their stakeholders. Because we love you, too, we're making our ideas and tools open source. We're rounding out the solution with for-fee training, support, and customization. Our first target is product scheduling. This is important to our customers. They need to coordinate with outside groups. They need to plan marketing campaigns. They need to know if something is going to take longer than it's worth. And when they have an urgent need, they need to make informed trade-offs between the emergency and work that's already in progress. The typical Agile response? "We're Agile, we don't have a schedule." There's often a threat: "If you make us produce a schedule, we won't be able to be Agile anymore." Bull-pucky. Tools and ideas for product scheduling, with the goal of creating exemplary customer relationships. That's our first product. Your customers should love you, after all. Here's our vision for the first tool.